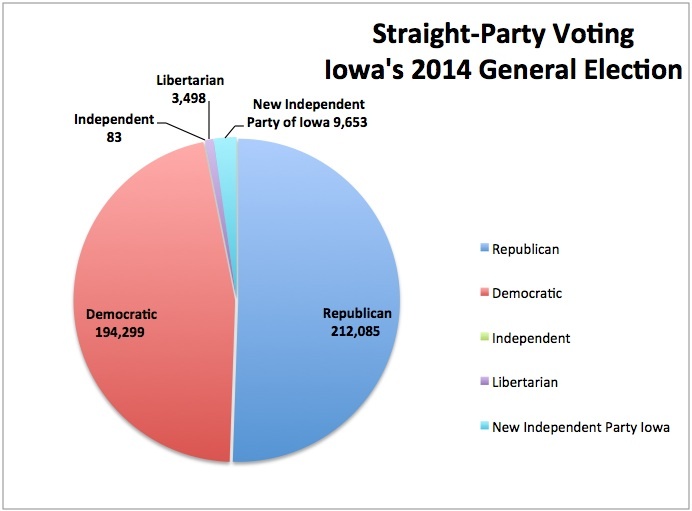 One of every three Iowans – 37 percent – voted a straight-party ticket in the 2014 general election, statistics the Iowa Secretary of State’s Office compiled for the first time revealed. 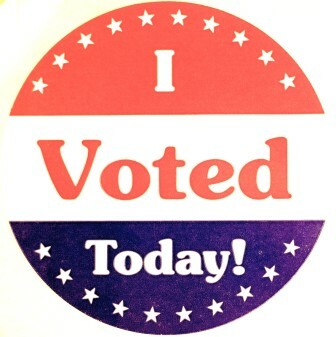 Expect those results to be part of another bid in the 2015 Legislature to eliminate straight-ticket voting, the practice that allows voters to fill one oval on the ballot for all of the candidates in one political party. 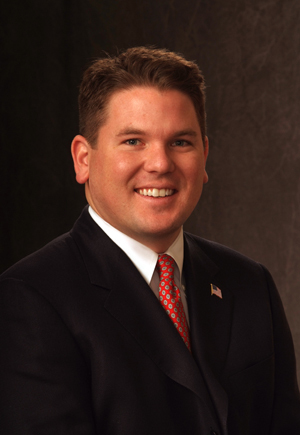 State Rep. Peter Cownie, R-West Des Moines, said this week he has filed another attempt to pass the straight-ticket ban in the upcoming session. “This is one area where, if we can just take a little bit of partisanship out of the process, I think it serves all Iowans better,” Cownie said in an interview. Republicans benefited most in the mid-term election, with 212,085 straight-ticket ballots accounting for 18.7 percent of all votes cast on Election Day, Nov. 4, and in absentee and early ballots leading up to that day. Most of the Republicans’ ballots were cast on Election Day. A total of 194,299 Democrats voted straight tickets, accounting for 17.1 percent of the total vote of 1.14 million. Most of the Democrats’ straight-party votes were made by absentee and early ballots, the data obtained by IowaWatch reveal. The rest of the single-party voting in the general election was nominal for third-party candidates. The data are noteworthy, in part, because this kind of detailed report on how many straight-ticket votes were cast in a general election previously has not been collected. None is required by law, although the Secretary of State’s office has produced estimates based on surveys with county auditors. Data were collected this year after journalists writing about legislative attempts to ban straight-ticket voting sought information about the practice, Sarah Reisetter, Iowa director of elections, said. “If people ask about it, we will provide it,” Reisetter said. “But we haven’t analyzed it to make any conclusions about any policy matters based on that data. Bids by Cownie the past two years to drop straight-ticket voting have failed. Last year’s attempt died in the House State Government Committee. Cownie said Monday he is trying again in 2015. “I think it’s the right thing to do,” Cownie said in an IowaWatch interview. “You’ve got to get the conversations started, so hopefully the conversation has begun,” he said. Cownie said he hears from Democrats, Republicans and voters declaring no party who like his idea. There has been a steady decline the past few decades in the number of states with a straight-ticket voting option. Iowa is one of 12 allowing it. Attempts to get rid of the option in the U.S. House have been made, but unsuccessfully. Data the Secretary of State’s Office collected from the 2014 general election remains unofficial because the straight-ticket data comes from Iowa’s 99 counties’ individual files. Totals have not been certified by the state executive council. The vote totals in the report, for example, do not match the official 1,142,311 reported by the Secretary of State for the election. 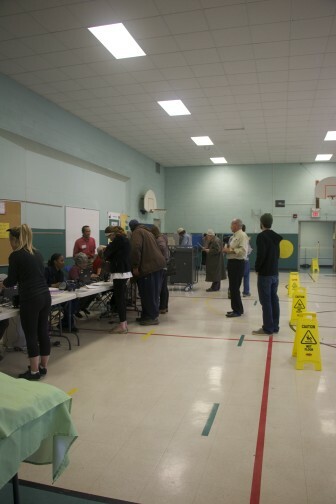 Voters at Horace Mann Elementary School on Election Day, Nov. 4, 2014. “There’s been no effort to verify its accuracy with the counties at this point, because it’s not something that they’re legally required to provide to us as part of the official election result,” Reisetter said. Secretary of State-elect Paul Pate, who takes office Jan. 1, will make the decision on whether or not a policy analysis is made on the newly collected information. He has not indicated a position. The impact straight-ticket voting has on the rest of a ballot is hard to determine. While it helps candidates with party affiliations it also results, critics fear, in voters skipping the rest of the ballot where votes for ballot initiatives, local township officers and judge retention are sought. Three of every five people voting in the 2014 general election skipped at least one part of the ballot, Secretary of State data show, but what they skipped was not determined. 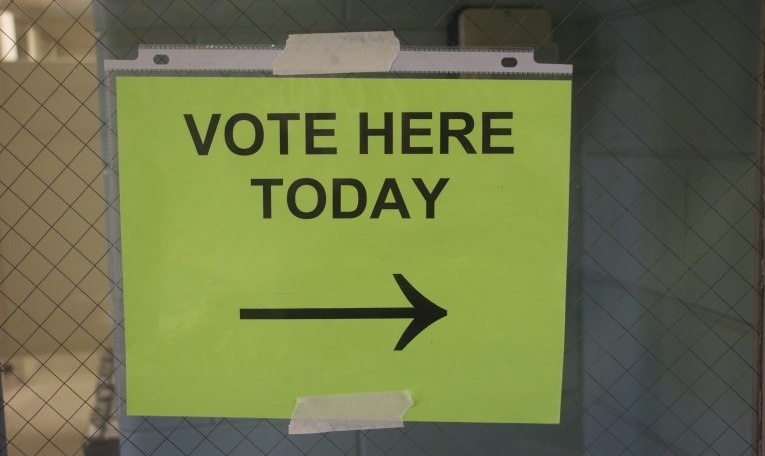 Voters may have skipped some candidates with party affiliations, for example. Timothy Hagle, University of Iowa associate professor of political science, said he was skeptical about efforts to ban straight-ticket voting in Iowa. “I would say that if you’re thinking that you would like to eliminate straight-ticket voting to cause people, or to force people to learn more about the candidates, I don’t think it’s going to happen that way,” Hagle said. 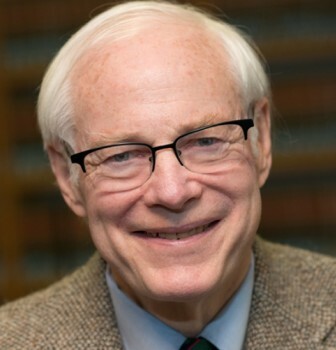 Former U.S. Rep. Jim Leach, a visiting professor of law and senior scholar at the University of Iowa, said straight-ticket voting exists because of party activists in each party who have believed at various points in time that it benefits their party. “I have always found it ironic that a straight-ticket lever exists in the state,” Leach wrote in an email. The general election data IowaWatch obtained from the Secretary of State’s Office also showed the continuing shift in voters’ preferences for absentee ballots that allow them to vote early, either at early polling places or by mail. This year 39.4 percent of Iowans voting used absentee ballots. That compares to 43.3 percent in 2012, when more voters in nine Iowa counties cast absentee ballots than Election Day ballots. This story was republished by The Des Moines Register, The Gazette (Cedar Rapids, IA), Ames Tribune, The Hawk Eye (Burlington, IA), The Courier (Waterloo-Cedar Falls), the Iowa City Press-Citizen, Sioux City Journal, Tama News-Herald and Toledo Chronicle under IowaWatch’s mission of sharing stories with media partners. Please support IowaWatch’s non-profit journalism so that stories like these are told with a tax-deductible donation. “Ethical Perspectives on the News,” a public affairs program produced by the Inter-Religious Council of Linn County for KCRG-TV9 in Cedar Rapids, Iowa, tackled the impact of political advertising in its Sunday, Dec. 21, 2014, show. IowaWatch participated.